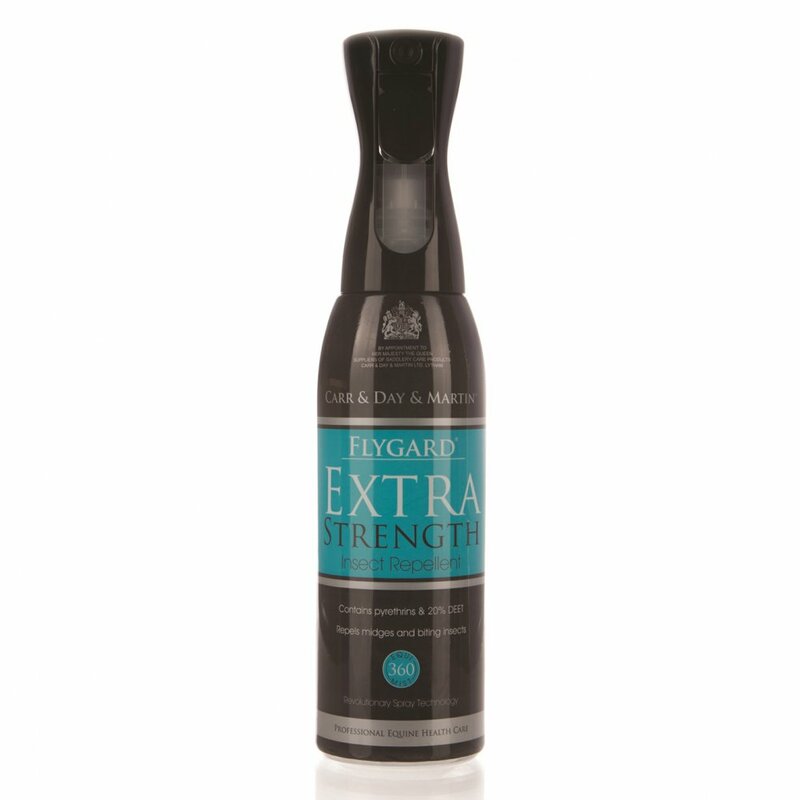 Carr & Day & Martin Extra Strength Insect Repellent Equimist Spray is a powerful fly spray to repel midges and other biting insects. This extra strength formula contains the optimum amount of DEET (20%); a powerful chemical used for repelling flies in the jungle. This fly spray for horses provides powerful, long lasting protection with proven results. The Equimist 360' spray bottle ensures an even coverage over the entire coat by producing a wide angled, fine mist spray. Equimist bottles can be used at all angles, including upside down to ensure protection of hard to reach areas. The quieter, continuous spray technology also has a better bottle evacuation rate than standard trigger spray bottles to ensure you use as much of the fly repellent in the bottle as possible. Shake this fly repellent well before use and spray liberally onto your horse. Avoid the eyes and other sensitive areas around the face. We recommend doing a small patch test if using for the first time. This Extra Strength Insect Repellent Spray provides instant protection for your horse and should be used twice daily for best results.